i do a very good nobu miso cod. 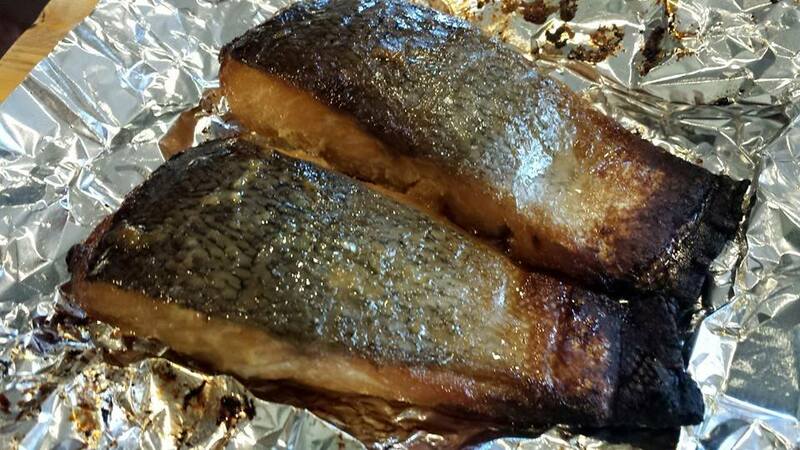 after some experimenting, i came up with a good recipe also for oven grilled miso salmon belly. some months back, wife bought japanese miso salmon (some with mentaiko) at isetan hokkaido fair. at the time i decided to try to replicate the japanese styled miso salmon. the idea was to dry out the salmon & marinade. this is only major difference from my usual miso salmon preparation. 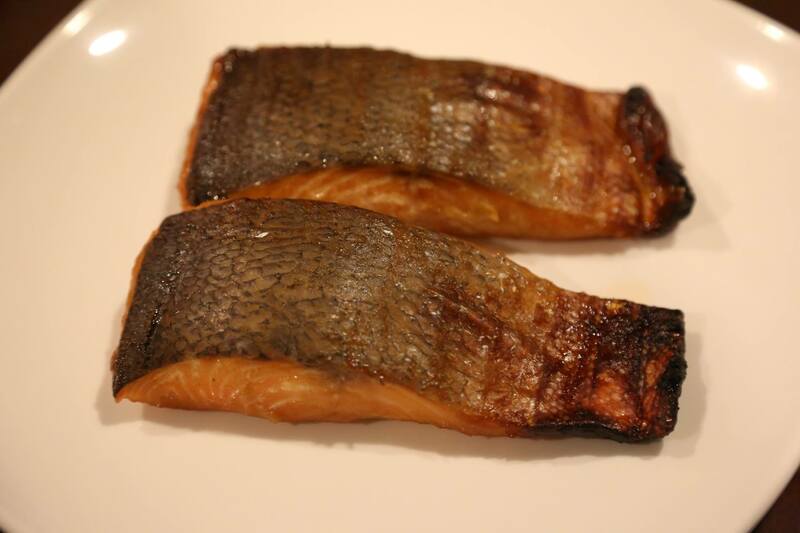 because i see the miso salmon or mentaiko salmon in Japan were all dryer preparation. we had this for a simple family lunch at the time (apr2015). 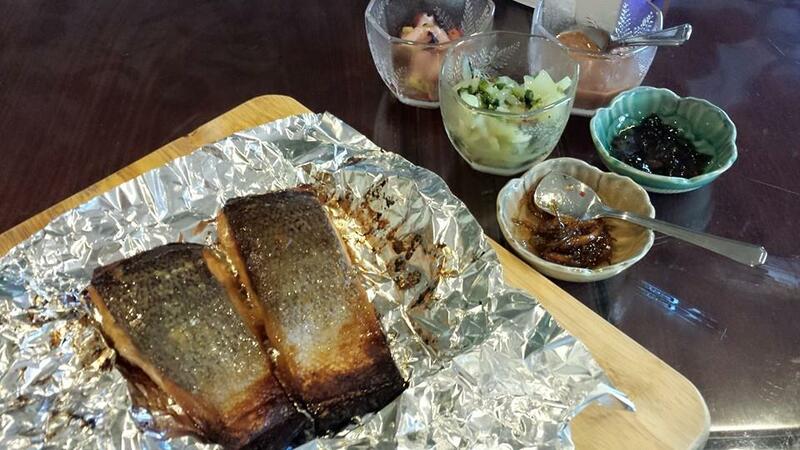 and also at a 19pax homecooked dinner for my RI friends on 24.4.2015.
it is different style from the miso salmon belly which is also very good. i like both, and both can be taken with japanese gohan (rice).